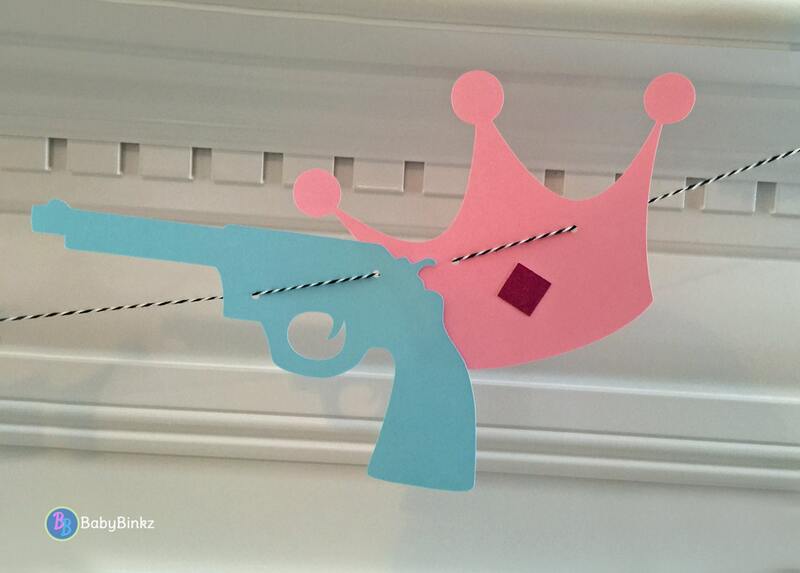 A BabyBinkz Party Garland with Blue Guns and Pink Crowns is the perfect addition to any gender reveal party! 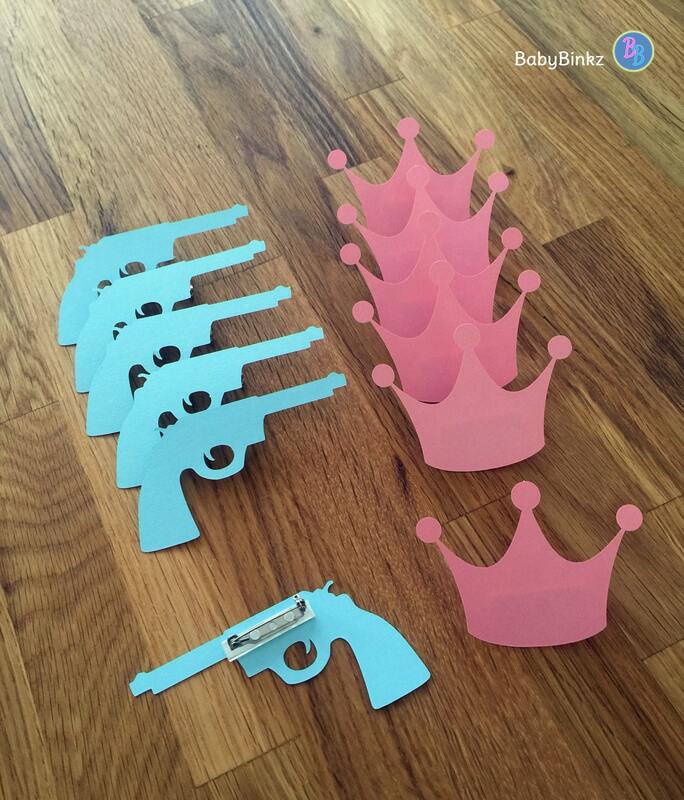 Includes 4 pink crowns with a glitter gem that measure 7" wide and 4 blue pistols that measure 8" long. They are pre-strung on baker's twine and ready to hang! 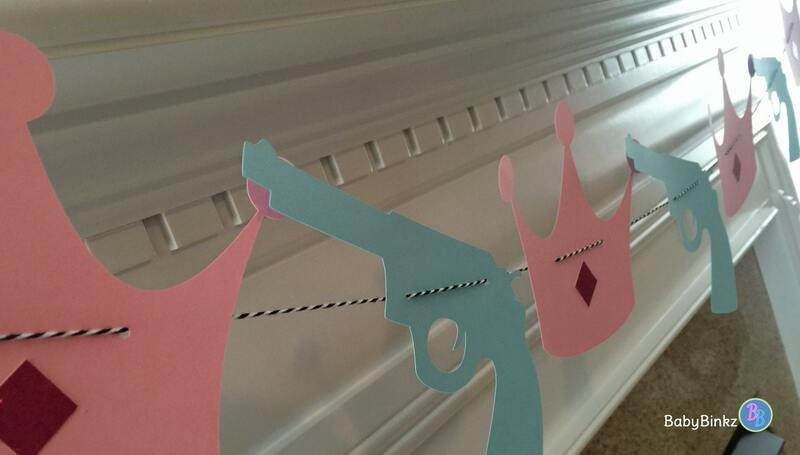 Want to add more guns or crowns? Looking for different colors? Contact us for a custom listing! 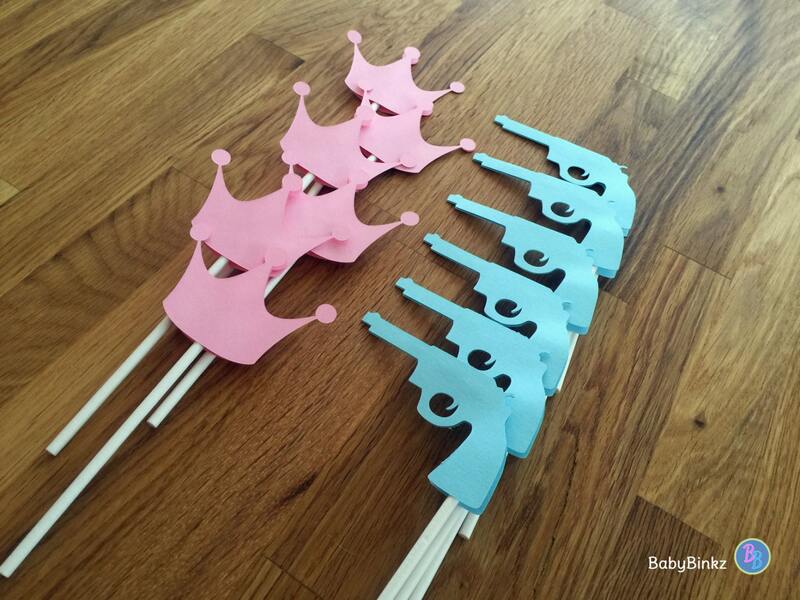 This listing is for the Garland Only, but be sure to check out all of our coordinating Guns or Glitter Products! Need it quick? BabyBinkz currently has a 3-5 day processing time prior to shipping. Contact me prior to ordering to be sure we can meet your delivery expectations.